From concept to completion, we will provide you with professional, high quality constuction roofing services, which are always provided with integrity and careful attention to detail. We take great pride in what we do to ensure the overall quality of each job. We will provide you with all the knowledge necessary to make a truly informed decision about each aspect of your general contracting project. Plus, we are firmly dedicated to following through with our commitments in a timely manner. It is our ultimate goal to develop and maintain lasting relationships through our strong work ethic and genuine concern for our clients best interest. We want to be your #1 general contractor from New York To Pennsylvania. With the knowledgeable and experienced David Fabbo Home Improvement staff to help you with home improvement remodeling, you can turn your current house into the home of your dreams. We can do jobs large and small, inside and out, in every part of the house. 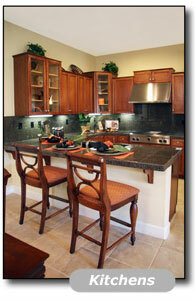 We work closely with you to develop customized plans that will make your home improvement dreams come true. When the home remodeling is done, your house will become the home you�ve always wanted for yourself and your family. If you need a home improvement contractor who can update your rooms or your exterior so your house offers a better value in a competitive real estate market, David Fabbo Home Improvement is the contractor for you. 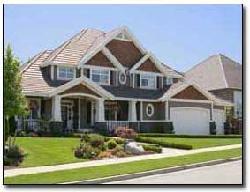 David Fabbo can make your interior and exterior attractive to a buyer who wants a home that�s ready to move into. At David Fabbo , our reputation from the past is the foundation for our future. We have a history as a respected home renovation contractor that�s built on years of experience and a longstanding connection to New YorkNew Jersey-area communities. We have served two generations of New Jersey homeowners out of the same location for nearly 20 years. We are a family-owned business founded in 1988, with headquarters in Elizabeth, New Jersey. We do home improvements in communities in the tri-state area and beyond. We operate with honesty and integrity and maintain the highest standards for quality materials and services. We are associated with the Better Business Bureau and the Building Industry Association of New Jersey. We at David Fabbo bring a solid reputation for quality work and customer satisfaction to every home improvement job. We are proud of the work we do and we stand behind it. For us, each home remodeling project is a custom job done according to your city�s codes. All permits are secured through David Fabbo , for your protection. As one of the leading residential home improvement contractors in New Jersey, we at David Fabbo have the know-how and experience to beautify your home. Whether you want to update your home a room at a time or do all the home remodeling at once, we want to be the home remodeling contractor you select to do your next home improvement project. Bathroom renovations can give an outdated bathroom a new lease on life. Bathroom designs can be modest or extensive. They can include basics such as a new sink and cabinets, and luxuries such as a whirlpool, sauna, or multiple�head shower. Whether you�re updating an existing bathroom or adding full or half bathrooms, we help you visualize your final bathroom design throughout the planning stages. 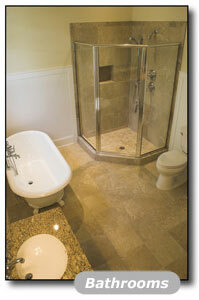 We can make your bathroom renovations exciting and stress-free from beginning to end. With basements, the sky�s the limit. Now�s the time to add that extra storage space, separate laundry area, pantry, game room, or extra bedroom you�ve always wanted, by creating basement designs that make your whole house more livable. 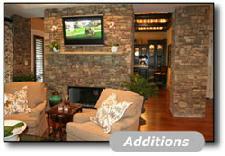 Basement Remodeling allows you to maximize your home�s square footage and get the most out of your existing space. Building down lets you preserve valuable yard area and presents an alternative when building out is not an option. At David Fabbo , doing Finished Basements means we can use the full range of our construction experience, especially when we build that extra bathroom or kitchenette down below. A finished basement can provide relief for your home�s most vexing design problems � offering a children�s play area away from the living room, a bathroom the teenagers can take over, extra room for another refrigerator or freezer, or a pantry for storing extra supplies. With David Fabbo �s help, basement designs can be created to address all your needs. With David Fabbo �s know-how, your basement remodel can help your growing family make the most of your existing space, or provide additional living space for a family member returning home. 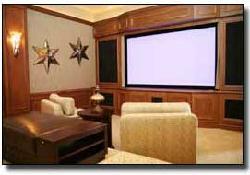 Your finished basement will look so good you�ll want to show it off to your guests. Your basement design will make you pleased and will meet your needs. If your basement is dark and uninviting and doesn�t offer the type of space you really need, you�ll be surprised how pleasing your basement can look when David Fabbo gets done with it. When space is tight and you need to find extra room, David Fabbo can help you with exterior improvements that can make a real difference in the way you live. Home additions or enclosures, whether large or small, can provide office space, a work room, a studio, a breakfast nook, glass patio enclosures, or a sun room for light and plants. Room additions can meet a variety of needs and can be scaled to fit the budget you have in mind. With our wide range of experience in home renovation, David Fabbo can create addition plans that will bring a new look and feel to your house. If you�ve been thinking your house is too small, additions, patio enclosures, or sunroom designs by David Fabbo will let you comfortably stay in your current home for years to come. 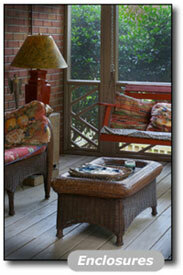 Porches offer a way to enjoy the outdoors without leaving your home. Whether you�re looking for front porch designs that face the street, for more of a neighborly feel, or a screened porch at the back, for a peaceful view of the woods, Miller Home Improvement has a variety of porch designs for you to consider. House siding gives your home a clean, appealing look, updates its style, and provides continued protection for the building materials underneath. David Fabbo can install vinyl siding, brick facing, shingles, or a combination, that will make your older home look brand new. 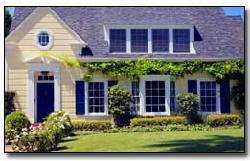 New windows and doors help your house keep stay warm in cold weather and stay cool in the heat of summer. New windows and doors look great from outside and in. When David Fabbo installs new windows and doors, it changes the look of your house from the street and gives you a reason to splurge on those new inside curtains or shades you�ve been thinking about. For a great new look for your home, David Fabbo suggests installing house siding and new windows and doors at the same time. 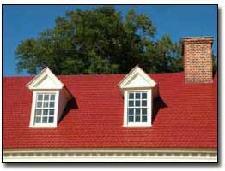 A new roof is a major investment and the job must be done right, by an experienced home improvement contractor. David Fabbo has the know-how to replace the whole roof or to make the repairs that will allow your current roof to last a few years longer. While we�re doing your roof, our workers will replace damaged roof boards and ensure that the attic below has adequate insulation to keep your home warm in the winter and cool in the summer. We�ll install air vents to promote air exchange in the attic, and eaves and spouts to provide proper drainage for rain and snow.